I attended my first CABS meeting this evening at the New Market Mall (Sawmill/270) here in Columbus and I’m sorry that it took me so long to decide to go because it was a lot of fun. I arrived around 5pm and left at 11:30, got to meet two of the three members that have been poking me to attend via Private Messages on BGG (Jeff Chunko and Nathan Morse), and I got to play a lot of games. CABS has a huge game collection. Did I say huge becuase I meant HUGE! game collection that they let members check out like a library system. So for the price of an annual membership fee, you can check games out and take them home to play before you decide to buy your own copy. So let’s see, what did I get to play. First up was a game called Angkor. I was playing this with three other people not 2 minutes after walking in the door. Angkor supports 2-4 players where each player hides 5 tiles behind a screen attached to an individual board imprinted with a grid. 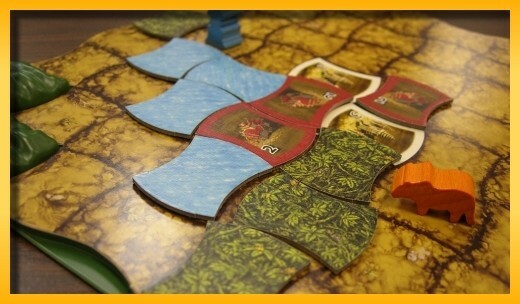 Players take two actions per turn laying tiles from behind their screen onto their own board or playing forest tiles on their opponent’s board. The goal of the game is connect your temples and palaces orthogonally and to hold the forest at bay (as it creeps in from the board edge) by placing water tiles. You also have at your disposal little wooden figures representing a water fountain, a gray palace bonus, and a tiger. These figures help give you bonus points at the end of the game. Overall the game is very light but has a nasty ‘screw you’ aspect to it if you start getting attacked by other players when they trash you with forest tiles. I lost both games by tie-breakers so it left a bad taste in my mouth. Next up was Breaking Away. Breaking Away is a luckless-based bicycle racing game. Each player has four cyclists that you move around the track. Each cyclist has an allotment of points that are initially spread across a set of columns. On each turn, you select a value from a column and the cyclist moves forward on the track that amount. 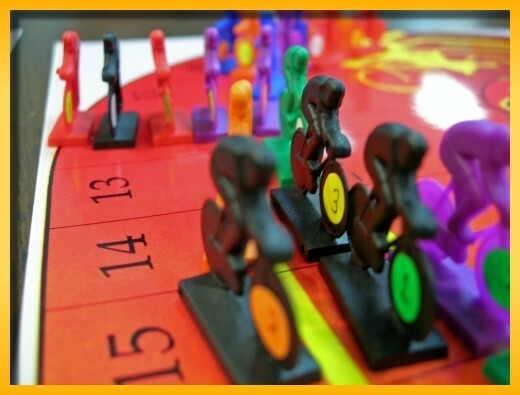 After each turn, the position of the cyclists is scored and the number you selected is replaced by the number of points you received for that cyclist. Extra points are awards for drafting, breaking away from the pack, passing one of two designated sprint lines, etc. An older game requiring paper and pencil to keep track of the points but all in all a fun game. After watching a group playing Caylus, I jumped in on a game of Liar’s Dice in which I was soundly defeated and was the first to be eliminated from the table. It was just in time too because Jeff had grabbed my copy of Himalaya and was giving me the high-sign that he wanted to play it. He’d played once before so after rounding up two other new players we had a go at it. Jeff was the clear winner after garnering two areas of influence but I was a very close second. I dropped the ball on sending out political delegates and that cost me the game. Had I placed a few more delegates I would have won since I had more yaks in my herd. After Himalaya I went back to watch Nathan finish up his game of Caylus and then he and I played a round of Polarity. I feel bad because I was totally annihilated and he’d never even played before. I, couldn’t for the life of me place anything without causing a fault and he was slapping white discs down like there was nothing to it. Must have been intermittent drafts in the room or something. On my way home from work tonight I picked up a copy of Gamewright‘s version of Reiner Knizia’s Loot at the Giant Conglomerate Store that shall remain nameless. I had gotten a tip from BGG that they were carrying it for a good price. 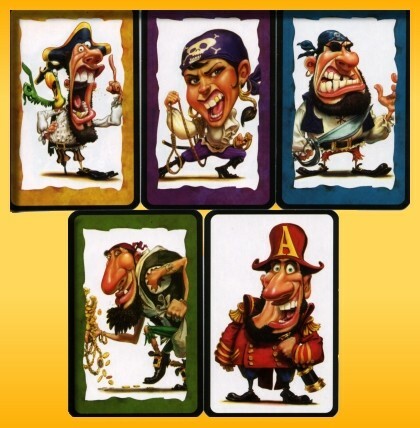 Loot is a pirate-themed card game for 2-5 players that also can be played with teams for 4,6, or 8 players. The team rules seem a little odd and I’m going to poke around to see if I can find anyone that has played it that way before giving it a shot. For individual players, Loot looks like a fun albeit light game and it might make another good filler like Coloretto and 6-Nimmt. The goal is to capture the gold in the holds of merchant ships indicated by the gold coins on the cards. Players play merchant ships in front of them and as play rotates around the table, the ship can be attacked by pirate ships played by other players. 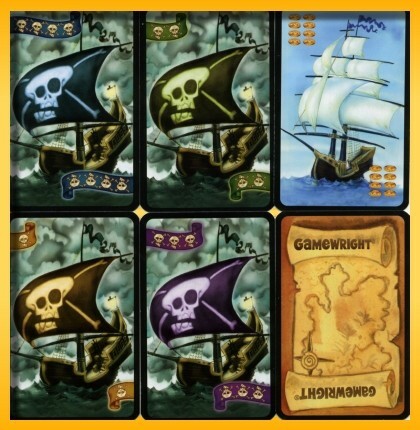 Other players cannot play a pirate ship of the same color but they can lay a pirate ship of another of the four available colors. As play proceeds, you pick up cards from the draw pile, attack merchant ships, or increase your position against an attacked merchant ship by playing the pirate captain or the admiral (on your own merchant ship). On your turn you can capture the merchant ships where you have the strongest position on the table. The last played pirate captain or admiral resolves ties. The game ends when the draw pile is gone and the first person is left with no cards in their hand. Count up the collected gold coins on your captured merchant ships and if you have the most…you win. I think it might be more fun if we wear eye patches and talk with a piratey accent. I ran across a post on BGG that made me shudder. Alhambra is considered a gateway game but for the life of me I cannot play the game with any sense of correctness. 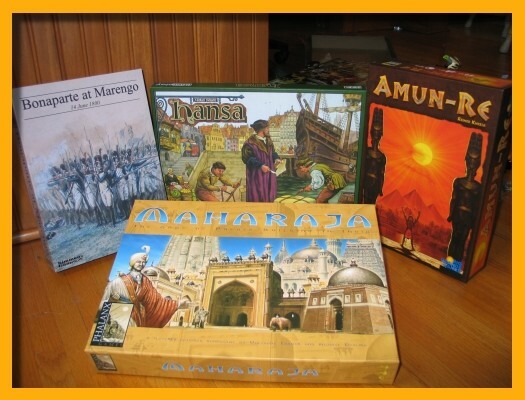 A gateway game is considered to be one that is easy to learn, shares a relatively comfortable feel to more mainstream games, and can be used to introduce ‘non-gamers’ to Euro-games. Now, I’ve played Alhambra numerous times and I thought I had the ruleset down but dammit if I haven’t missed one of the most important rules of the game. First it was wall scoring. Then it was when you’re allowed to place your purchased tiles. After that it was how to deal with inner walls. And now…it’s how the currency relates to the market stalls. For some reason I had it in my head that during the game, the currency type didn’t matter when purchasing tiles. I think I thought that because there are several statements in the rules about currency not mattering in this phase. And then at the end of the game, the currency type does matter in determining who gets the remaining market tiles. Regardless…I am WRONG again. The BGG poster was correcting another player’s misinterpretation of this same rule so I suppose it’s not all that uncommon. However, in rereading the rules it’s extremely clear that you must pay in the currency defined by the market the tile is sitting on. That changes everything given that it’s going to be much more difficult to get the ‘pay exactly’ bonus when purchasing tiles. Time to break this out and play again. CABS is one of the largest boardgaming groups in the nation and they meet right here in Columbus, Ohio. They meet at the New Market Mall (Sawmill/I-270) and usually have about 80 people attend each meeting. Sadly, I’ve never been due to well…lots of reasons but I plan to rectify that by attending their New Year’s Eve Eve Game Fest. If you’d like to join me at New Market Mall as another guest attendee let me know. Apparently they’ll be opening the door extra early (around noon) and will close up shop around midnight. Lisa and I finally got some time tonight to try out Jambo.I had read through the small ruleset and was able to run through them for her andwe were off and running. Jambo is designed for two players and I bought it specificallyfor Lisa and I to play since she likes the two-player variant of San Juan. 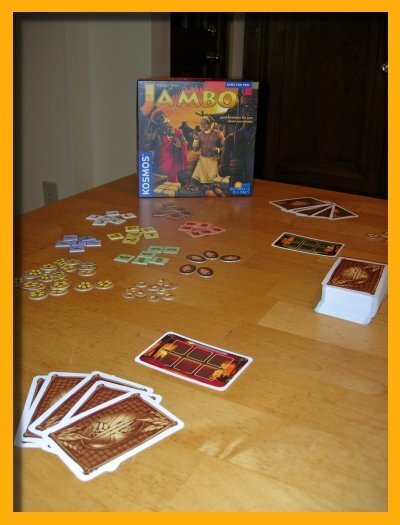 In Jambo, players take on the role of merchants in Central African markets before colonization.The game is based on an Action Point Allowance System where players are allotted5 action points on each turn. Each turn is composed of two optional phases but the phasesmust be played in the order: draw cards and then play cards. During the draw phaseyou turn over the top card from the draw pile and look at it. If you like it you putit in your hand. If you don’t like it you discard it and draw the next card. You cancontinue until you put a card in your hand. However, each card you draw costs you oneof your 5 action points allotted to you for this turn. 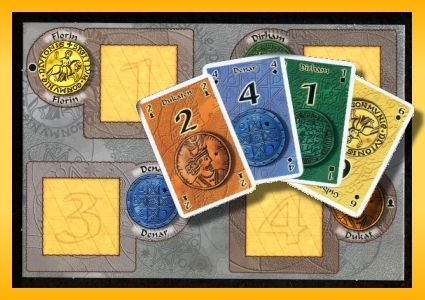 After placing a card in your hand, you then expend your remaining action points in phase 2.In this phase, you play cards from your hand which allow you to buy wares (tea, hides, salt,silk, fruit, or trinkets) for gold, sell wares for gold, and create new markets to hold wares you want to sell.Additional cards (animals and people) let you take special actions during your turn and finallyutility cards (which remain in play even after your turn completes are can be used in subsequent turns) grant you more persistent special actions. Playing cards cost an actionpoint as does using the special powers of utility cards played in this or previous rounds. The game is extremely tactical since you cannot easily predict what will be in your handor your opponents position with any high degree of exactness. Special cards can causeyour hand to change during your opponents turn, they can cause one or more of yourutility cards to be lost, you may need to enter into an auction for wares or cards in themiddle of your opponents turn, etc. The first player to reach 60 or more gold nuggets triggers the end game and your opponentgets one more turn to match or beat your current gold count. If your opponent matches orbeats your gold count, then he/she wins. Our first game was a little rough because we spent a lot of time reading the text onthe cards that describes the special powers. There exists a “Psychic Card” that allows you topick up 6 cards from the draw pile, take the one you want and then replace the remainingcards in the same order (minus the one you took) back on top of the draw pile. When youget a handful of cards you haven’t seen before, it takes a little while to fully grok what’s good and what’s bad. I was doing pretty good in the first half of the game since I was able to quickly turn overwares for gold but as the game wore on, Lisa was able to get some powerful utility cardsand usually ended up with many cards to choose from on her turn. I, on the other hand, wascard poor most of the game and although I ‘bought’ a small market for 6 gold and filledthem up, I wasn’t able to convert because I couldn’t get the ware cards I needed to sell. Given my end game lock up, and Lisa’s great tactical play she was able to convert herwares more efficiently with only a large market (she never held a small market in herhand the entire game) and she won 61 to 45. Both of us liked the game and we intendto play it several times close together to get a feel for the special powers such thatwe don’t need to read the text any more but can tell what the card does just by glancing at the excellently done artwork. I didn’t stay up and practice if that’s what you’re thinking. But, after two unsuccessful attempts I did manage to pull one off during a game this morning. Sophie and I played a game of Polarity Christmas morning. Sophie won 16 to 13 by pulling off moves like this one. Polarity is a dexterity game for 2 players. 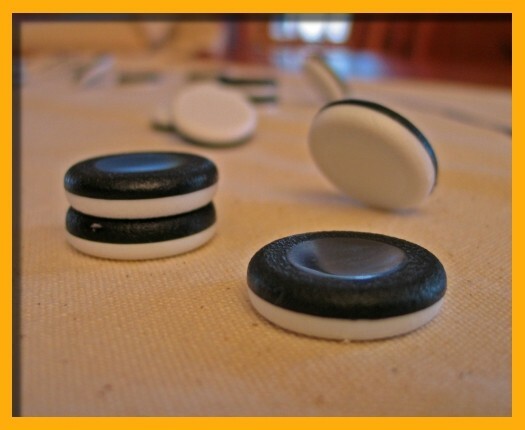 At the beginning of the game, each player receives half of the magnets (one pole white and the other pole black). An all red magnet is flipped like a coin to determine which pole will face up in the center of the board and who will play which color. The ‘board’ is a large canvas sheet with a large circle painted on it and the named pole on the red magnet is placed in the center of the circle. Play begins with the white player laying five magnets flat on the canvas followed by the black player laying five magnets. Players then alternate placing leaners against magnets already placed on the mat. A leaner is a magnet that is ‘hovering’ at an angle due to the magnetic force between the two or more discs. As leaners are played, the magnetic force may cause discs to shift position and ‘click’ together or fall/roll flat onto the canvas causing what’s called a fault. When you fault, your turn is immediately over. If your fault causes magnets to click together, then your opponent claims the ‘tower’ and gets to pick up and place the tower anywhere onto the mat (their color facing up). If you cause a magnet (or more) to click up onto a magnet in your hand, then you must add those magnets to the magnets you have yet to place on the mat. The game ends when the first person places their last disc and the final scores are calculated by adding up the number of disc in the towers you’ve claimed minus the number of discs you have yet to play. Polarity is very addictive and at first it’s fun to just play with the magnets to get a feel for playing leaners in different situations. I have yet to play a double leaner in a game and it’s starting to bug me enough I might stay up late and practice!!! Players are merchants of the Hansiatic League. Players take control of the ship and buy and sell goods, establish trading posts, and sail to find new markets. The board is a very simple map of Scandanavia, with arrows from point to point restricting where the boat is able to move. Active player takes control of boat and must pay to move to each new city where he may either buy, sell, or expand. Players wants sets of goods that they can trade for victory points, but also need to expand market presence to generate revenue. Players try to outdo each other in building pyramids and growing crops, but must watch out for floods and droughts along the Nile. 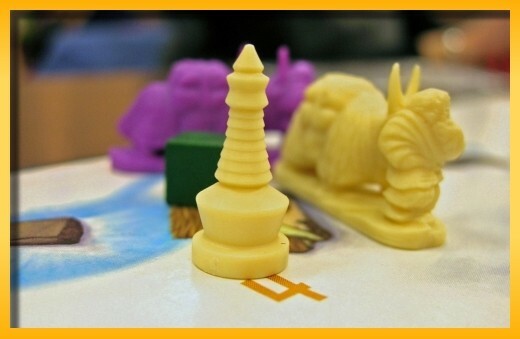 Raja is a clever strategic boardgame for two to five players. During the game the players take different roles and travel from city to city in India. Their architects build palaces and houses for the maharadja. Of course, building a palace is expensive. Therefore it is important to earn enough money in the cities. The first player who builds seven palaces is the winner. Bonaparte at Marengo On 14 June 1800, the French army under Napoleon Bonaparte was taken by surprise and attacked by the Austrian army under General Melas. Outnumbered and outgunned, the French were defeated and forced to retreat. But later that same day, French reinforcements arrived under General Desaix, and in what amounted to a second battle the French counter-attacked and won, taking thousands of prisoners and driving the Austrians from the field. Thus was won the battle of which Napoleon was always the most proud – Marengo. Bonaparte at Marengo recreates that dramatic battle. 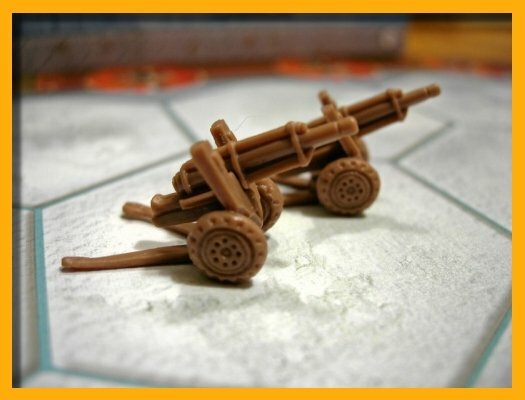 The game is simple and fast-playing, departing from almost all of the standard conventions of wargaming in order to achieve the look and feel of nineteenth century linear warfare. Jambo arrived along with another game I won’t mention just quite yet. I bought Jambo mainly for Lisa and I to play. She really likes the 2-player variant of San Juan so I thought this one might be up her alley as well. I haven’t even read the rules yet but purchased it mainly from the good reviews and comments I’ve read on BGG. Players take on the role of merchants offering their wares from market stands. On a player’s turn, he has five actions to choose from. Actions can be used to draw cards, play cards and activate buildup cards. By owning important buildup cards and properly using the assets of other village inhabitants, the merchants succeed in attracting especially many customers to their stalls, making bargain buys, and messing with their opponents’ plans. 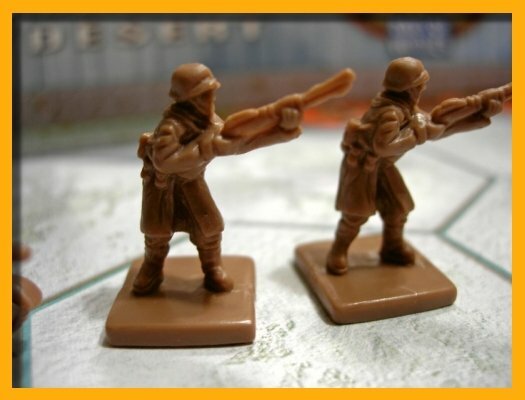 Here are some shots of the minis from the Memoir ’44 Eastern Front Expansion. In my opinion, the minis are of higher quality than the base game. The plastic seems sturdier and capable of carrying a higher level of detail. 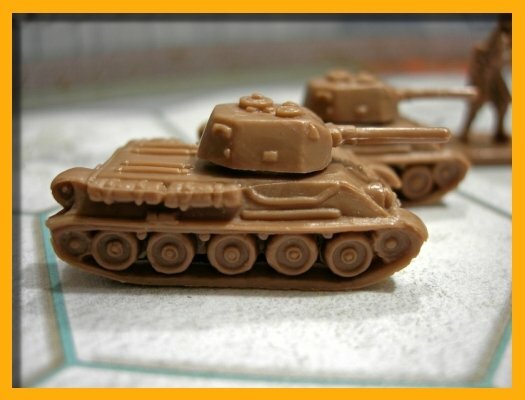 The expansion also comes with additional badges and medals, bunkers buried in snow, as well as Stalingrad ruins, snowy village, ravine, industrial complex, frozen river, village on a hill, snowy forest hexes, and 4 different kinds of obstacles. The expansion also comes with 8 historical scenarios and a few new rules. 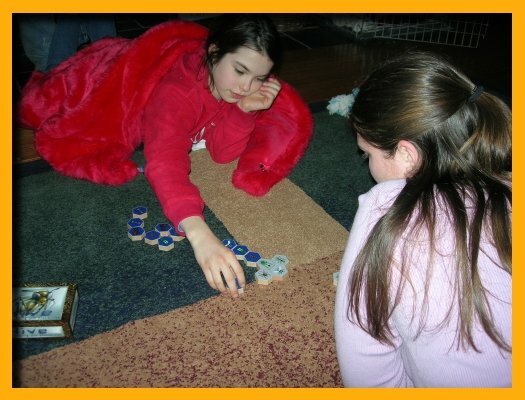 After Sophie got back from her horseback ride in the snow, she cuddled up in a blanket, with her feet next to the woodstove and laid down to teach her cousin Mandy, the game of Hive. 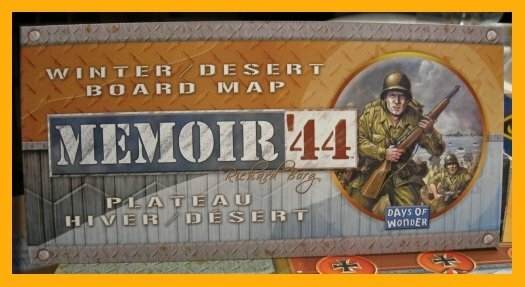 I was blessed during the gift exchance and received the Winter/Desert board for Memoir ’44 and the Eastern Front Expansion. I can’t wait to break it out and play a few of the new scenarios.